“I’m a travel writer”, I’ll say, which often gets a good response because people think I can help them with their holidays. Which is to say that there is a certain amount of snobbery attached to travel writing, especially applied to those of us at the bus-timetable-and-opening-hours end of the business. It’s obviously quite an attractive job on the face of it – being a guidebook writer – and you do get to go abroad a lot, but when push comes to shove, writing guidebooks is somehow regarded as Not Proper Travel Writing. Not like those books by Bill Bryson anyway, who has plenty of time to lounge around exotic parts thinking up jokes about the locals because he doesn’t have to inspect 73 hotel bedrooms before noon. Not like Laurie Lee, with his walking out one midsummer morning, not a care in the world, no idea where he was going. 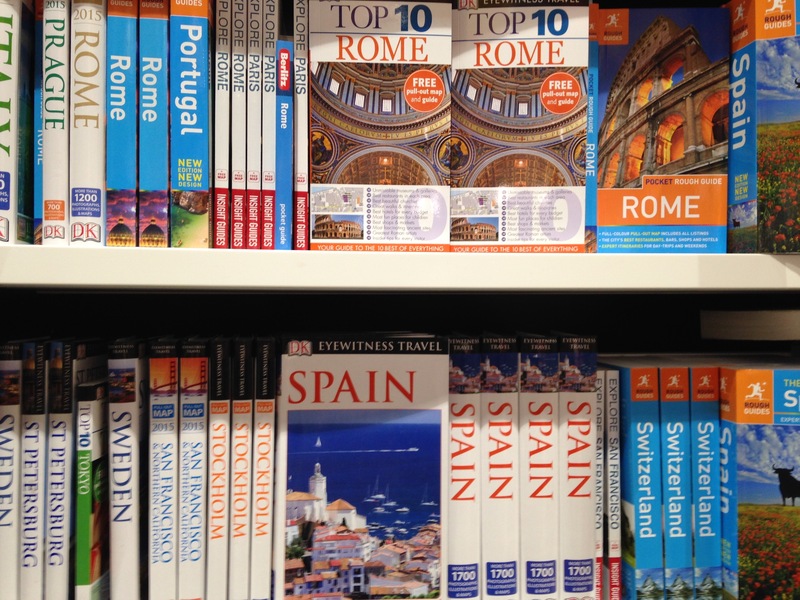 Try telling Rough Guides you intend to walk to Spain on your research trip – if, indeed, I even get there, little old care-free me – and they’ll be asking for their advance back quicker than you can say, “I thought that, instead of driving over some lemons I might try and stroll over them, what do you reckon?”. (The snobbery works both ways of course. I’ve been on many press trips where you soon discover that the jaunt – sorry, hard-working research trip – you are on has been handed as a reward to some newspaper’s motoring correspondent instead of an actual travel writer. The nerve! The motoring correspondent! As if anyone, without rigorous training and years of experience, can just go on a lavish, all-expenses-paid holiday for a week and enjoy themselves. Oh, hang on…). So we are travel writers – those of us at the guidebook coal-face – but apparently not Proper Travel Writers, and we won’t become PTWs until we write a wildly humorous account of an artfully constructed journey, of the sort that no one will ever do, called something like ‘Across the Atlantic in a Bathtub’. And yes Tony Hawks and ‘Round Ireland with a Fridge’, I mean you. As it happened, writing Rough Guides turned out to be a great choice for anyone interested in becoming a better writer of any sort. ‘Travellers who write’, it was once said, worked for Lonely Planet. ‘Writers who travel’ got the Rough Guide gig, and I guess they thought I could write because I got commission after commission, from Scandinavia to Hong Kong, and Barcelona to Washington DC. True, I wrote about hotel rooms and restaurant menus, and bus stations and laundromats, but I also had to learn to write knowledgeably and fluently about Catalan architecture, American politics, Chinese art and Norwegian cuisine. My account of the US National Gallery of Art ran to 16 pages and took weeks to research and write; drafts would come back from editors querying the placement of semi-colons, never mind the spelling of Georgia O’Keeffe (two fs people, easy mistake). All of this experience made me a writer who happened to travel for a living, and I’ve been pretty comfortable in that skin. But the groaning shelves of Waterstone’s and the scrolling pages of Amazon are eternally divided into Travel Guides and Proper Travel Books, and try as I might – facing myself in the mirror (‘you are a proper travel writer, yes you are, don’t listen to the mean man’) – there’s still a part of me that thinks perhaps I should unicycle around Australia and write a book about it while I still can. Instead, the Proper Travel Book I published is called ‘Takoradi to the stars (via Huddersfield)‘, and while it doesn’t involve any single-wheel-based transport, there are exciting journeys, some heartwarming stories, lots of funny jokes, a near-death experience and the accidental eating of a puffin. Takoradi is in Ghana, West Africa, and Huddersfield is in Yorkshire, northern England, and to find out how they are connected you are going to have to buy the book, there’s no way around it. What I can promise is that it contains neither accounts of bus stations nor hotel reviews, and if that makes me a Proper Travel Writer at last then the whole puffin incident was SO worth it. Sounds good Jules – from birth to manhood or something like that! Let me know details of publication date etc then I can share. Well done you – I liked reading your article – especially the Tony Hawks dig – which of course gives away our ages nicely! Thanks Janet – book coming soon in early December! Please do spread the word, I hope everyone likes it.